A trip along the coast on 101 lets you pass through Santa Barbara. An awesome beach town to visit if you have not. Last week we happened to be there and for lunch stopped at a whole foods kind of place called Lazy acres. We decided to shop for some snacks. We did load up of their baked good but what impressed me was their wide salad spread. Among their delicious salads we chose the barley salad. It was very fresh, crunchy and had an interesting texture. Since we enjoyed it so much, we decided to prepare it for dinner last night. Made a big bowl of the salad and we have all been enjoying it since. Perfect for summer because it is a cold salad and tastes better the next day. Travels well for picnics too. Water - 4 cups for soaking, 6 cups for cooking and more rinsing. 1. Clean the barley, wash in water 3 times. Soak over night. 2. Cook the barley in water for 15-20 minutes with some salt in a stock pot. 3. Check to see if the barley is done,then drain the excess water and store it. This water is very healthy. Rinse the barley in cold water until all the slimy texture is removed.Allow for the barley to cool in a big bowl. 4. Once it is cooled, add chopped veggies and give it a toss. 5. In a bottle add oil, pepper, paprika, salt, garlic powder, lemon juice, vinegar and give it a good shake until all ingredients combine. 6. Pour the dressing over the barley and mix well. Cover and refrigerator it for at least 30 minutes before serving. Store in air tight container and can be served the next day. Interesting and definitely a hearty salad. Thanks for sharing. Never tried salad with Barley..looks healthy and fresh..
looks quite tempting and yumm..time to buy some barley soon!! wow..Never heard about barley salad,yummy salad!! healthy nutritious and yummy salad. I tried soup one time with barely, not tried salad. This looks perfect. Rye is not gluten free. Never tried anything with barley, this looks interesting.. 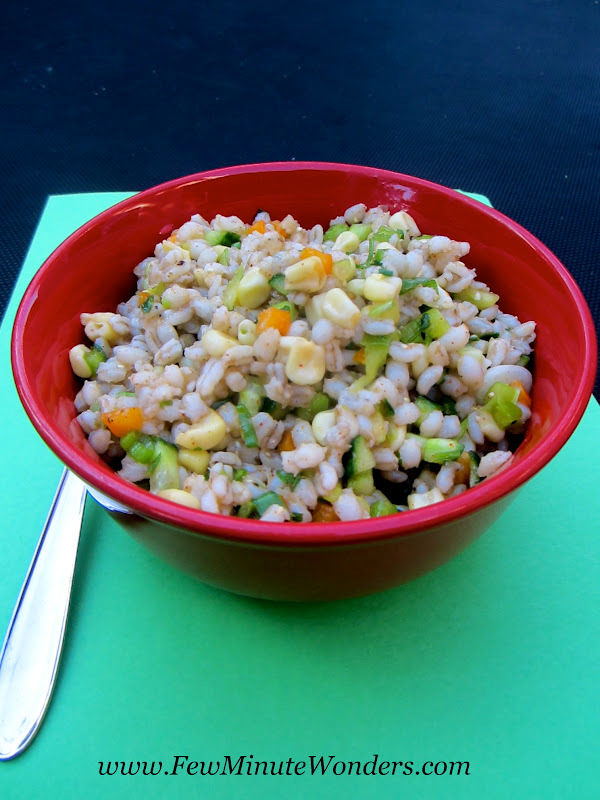 Barley salad sounds wonderful right about now. YUM! Salads can't get any better than this, looks perfect.